Astronaut Travel is a integrated marketing agency, providing a multi-discipline service for the world wide tourism industry with the aim to attract more Chinese travelers. 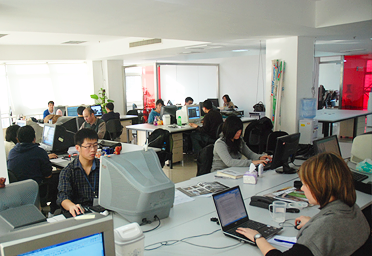 We have an international and Chinese team of marketing, design and specialists, and a high implementation capacity through our cooperation with ZhongJia advertising. We take sustained attention to the China tourism industry’s development, and have a deep understanding in China tourism policy and market trends. Our Partner ZhongJia Advertising is a since over 12 years established Beijing company, which client base are mainly western brands like Swatch, Hennessy, Tissot, Samsonite, just to name a few. Greetings from hideaway destination Pvt.Ltd from Maldives. We are a travel agency based in the Maldives promoting resorts in the Maldives and helping anyone who wants to spend their holiday in the Maldives, where to chose ( based on their preferences) meet and greet them up on arrival to the airport. Please do not hesitate to drop a line if intrested. We wish you a lovely day from Sri Lanka & warm greetings from Delux Holidays!!! We are professional and well experienced tour operators that organizes many tours according to any kind of requirements, covering whole island. We arrange Hotel reservations, Guiding and transportation for your comfort. Appreciate if you could contact us on below mentioned website for services. If you are interested regarding our travel agency we can forward some special tour packages. Thanking you & look forward to a long & mutually beneficial relationship.